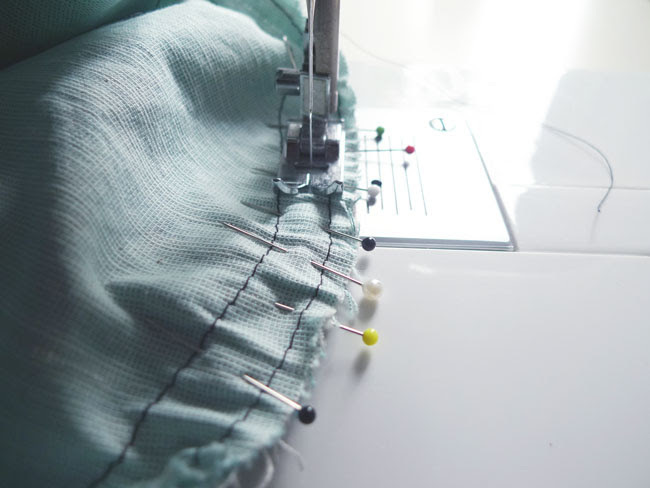 Loosen the thread tension and lengthen the stitch on your machine. 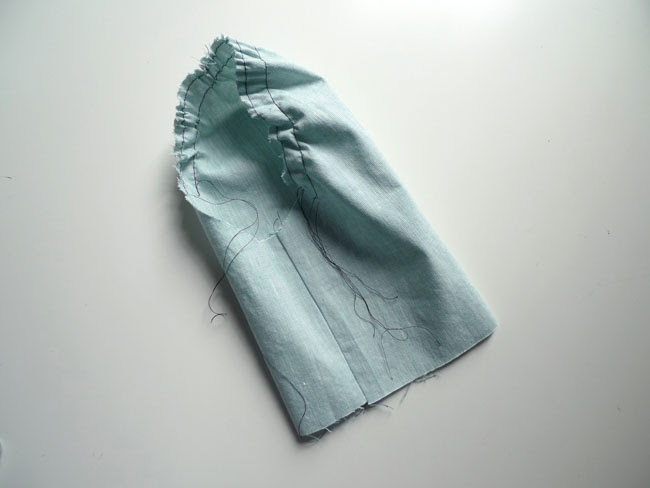 Sew one row of stitches 1/2cm or 1/8" from the raw edge of the sleeve cap, between notches. Leave thread ends long. 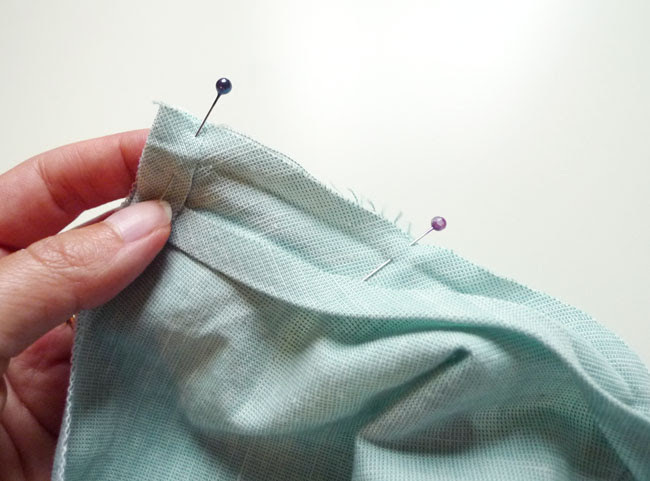 Sew a second row of stitches 1.5cm or 1/2" from the raw edge, leaving the thread ends long. 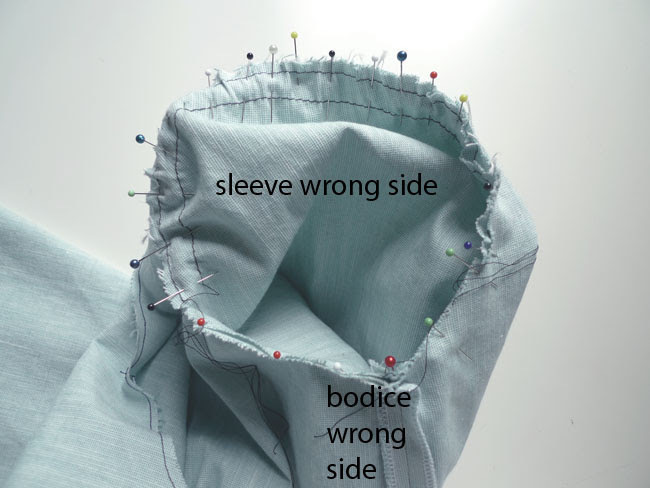 Fold the sleeve in half, right sides together, and stitch. Tug on the thread ends to begin to gather the sleeve cap. 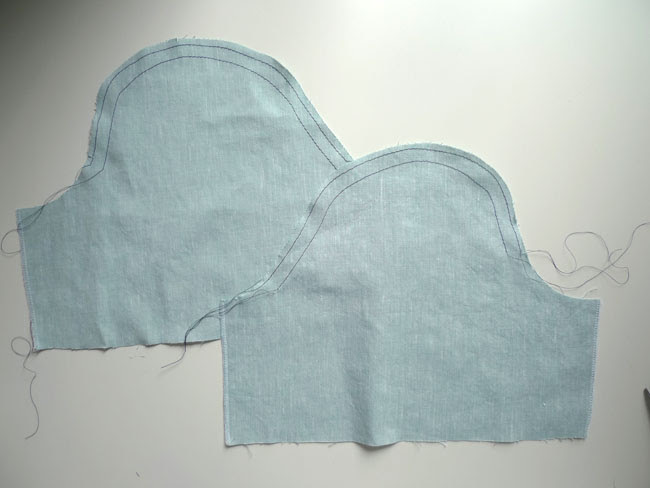 Turn the bodice shell wrong side out. With the sleeve right side out, insert into armhole. (They should be right sides together. 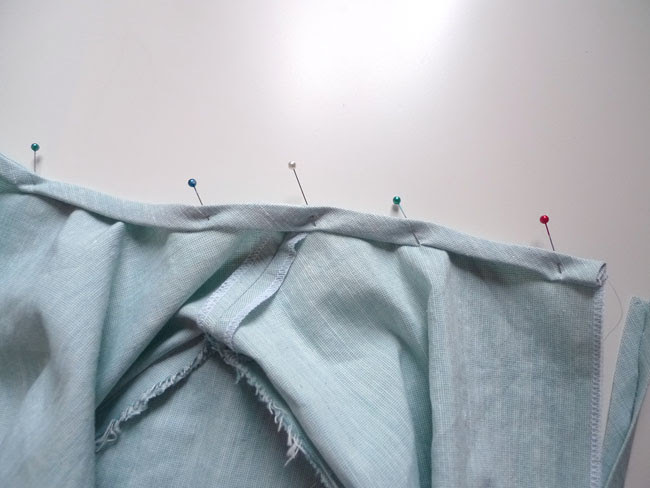 Match notches, shoulder seam and side seam and pin in place. 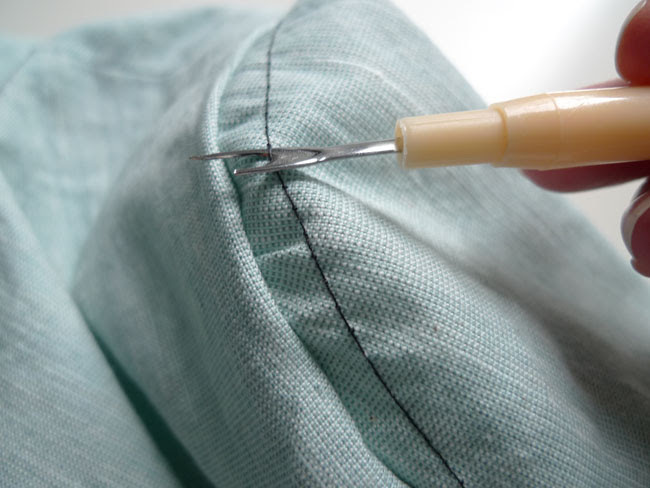 Ease the sleeve cap gently into the armhole by tugging at the thread ends and distributing the fabric along the cap. 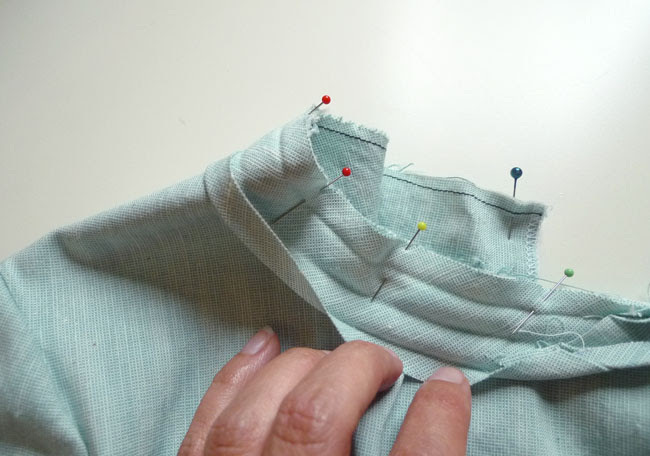 Machine stitch the sleeve into the armhole. Your 1cm stitch line should fall in the middle of the two rows of basting stitches. 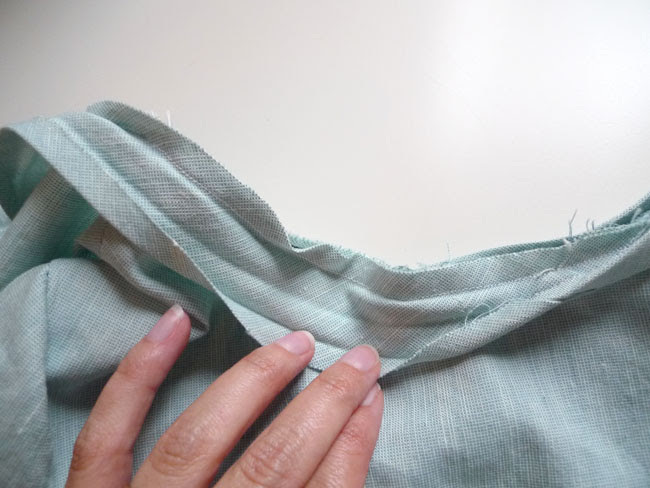 Use a seam ripper to remove the visible basting stitches. 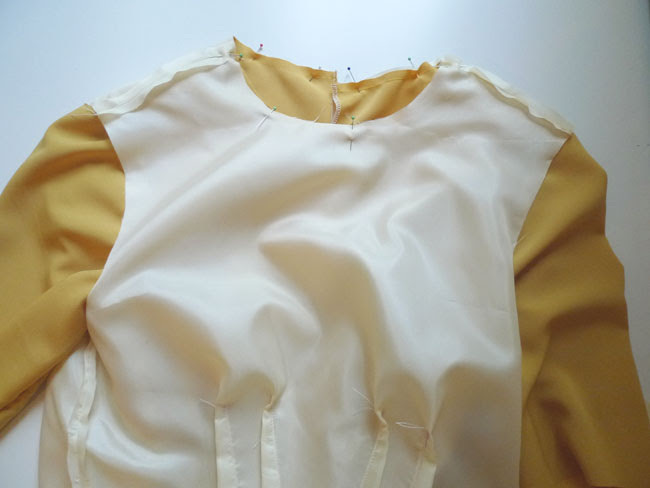 Pin the lining to the bodice at the neckline. Stitch around the neckline, starting and ending at the notch points given on the pattern pieces. 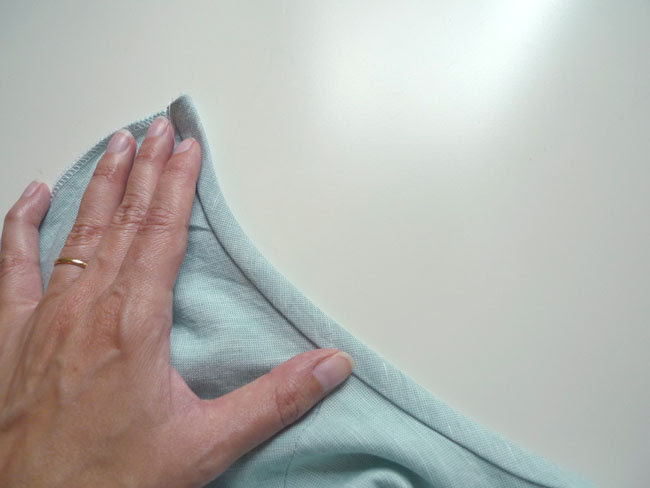 Clip into the curve of the neckline, being careful not to clip through the seam allowance. 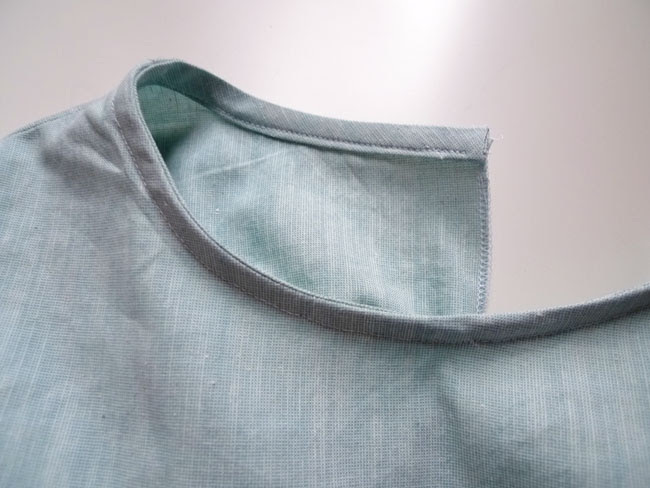 To finish the neckline without a lining, scroll down to the photos showing blue fabric. 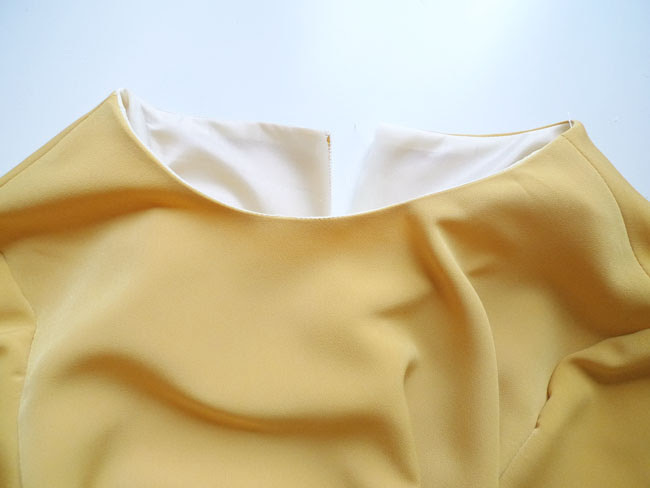 If lining, turn the bodice and lining, now attached at the neckline, right side out and press the neckline. 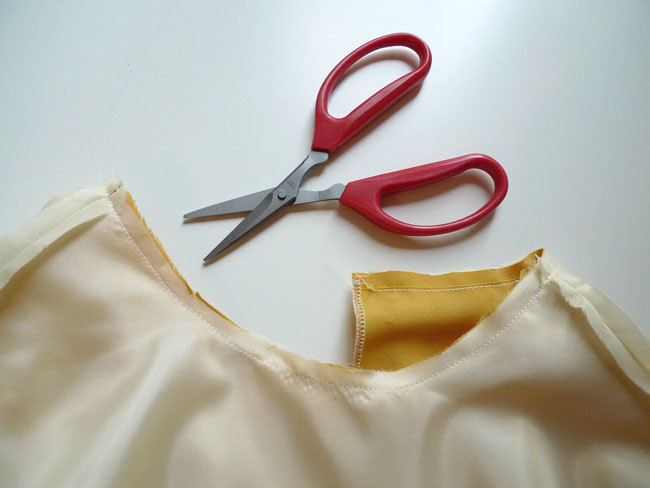 If you are not lining the bodice, use a 3/8" or 1/2" bias binding tape around the neckline. 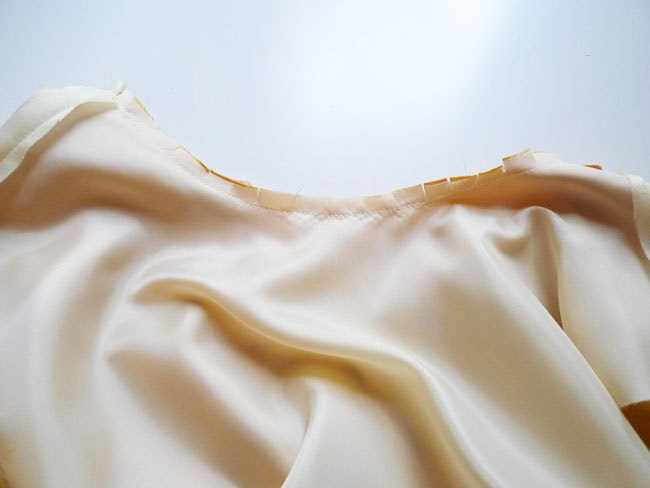 Place the bias tape right sides together on top of the bodice, and fold the raw edge of the binding tape in. Machine stitch in place and press. 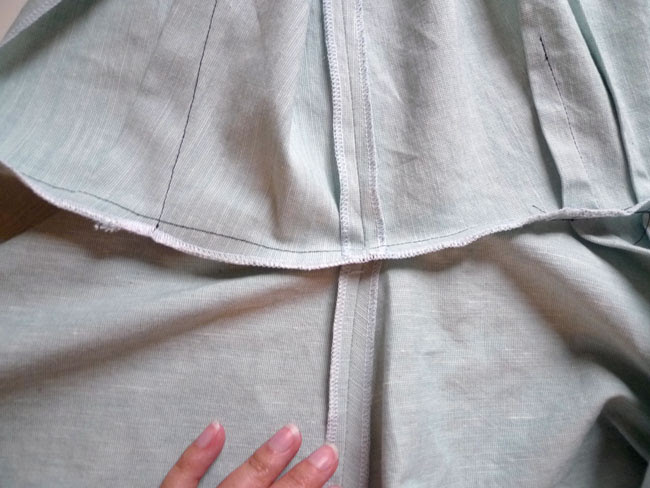 If you are not lining your bodice, it's a good time to finish the raw edge of the waist seam using a serger or zig zag stitch. We are nearly there! 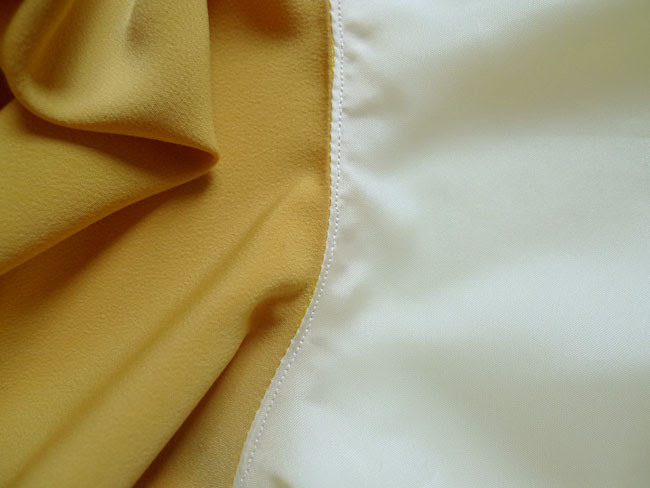 Next we will insert the invisible zipper, finish the centre back seam and hem the sleeves. Click here for the last steps in the tutorial!